Nobody expected this. There was no advance notice. There were no empty promises. 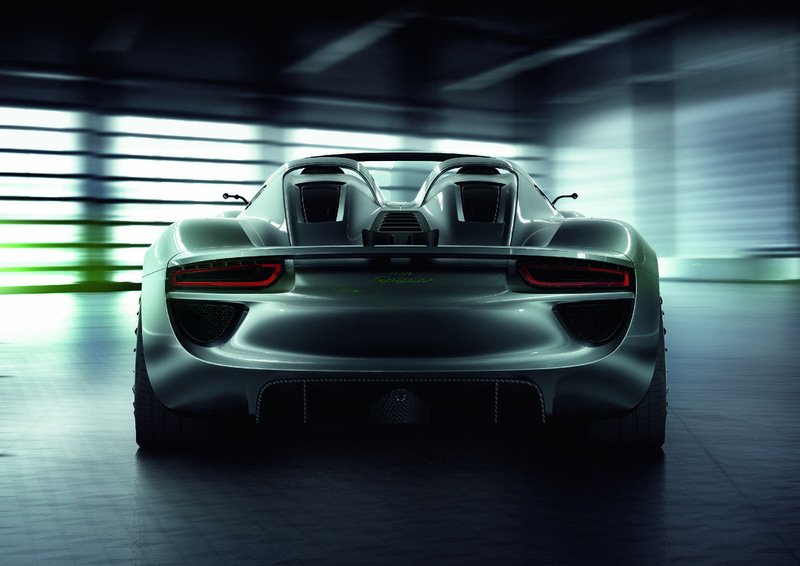 There is no turning back: the future of motorsports began for Porsche in 2010. After several races we could well say: mission accomplished, theory substantiated. But that’s not enough for us. 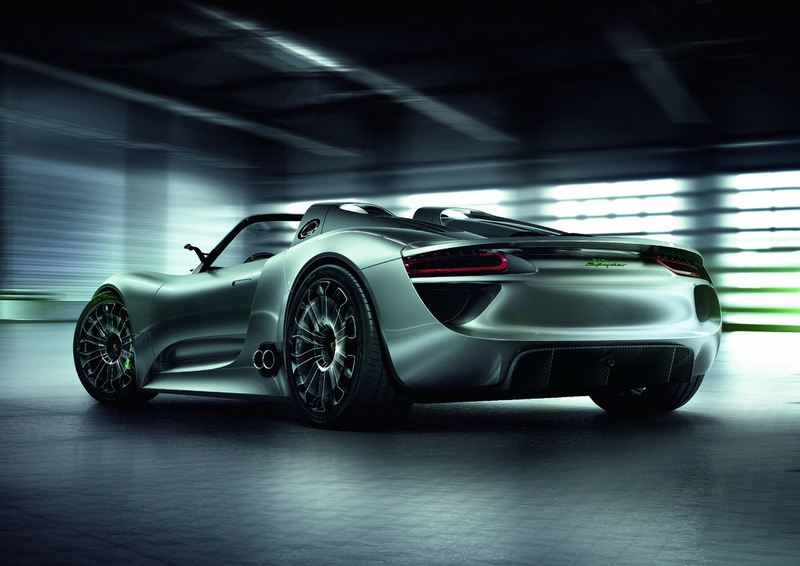 Our most important finding: Sports car can do more. 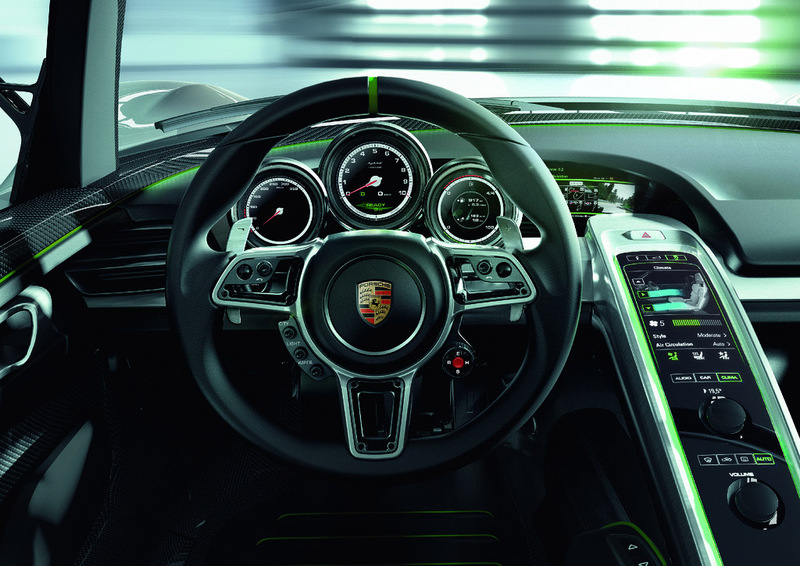 Porsche is continuing to extend its performance and high efficiency competence via intensive development work in the field of technology. 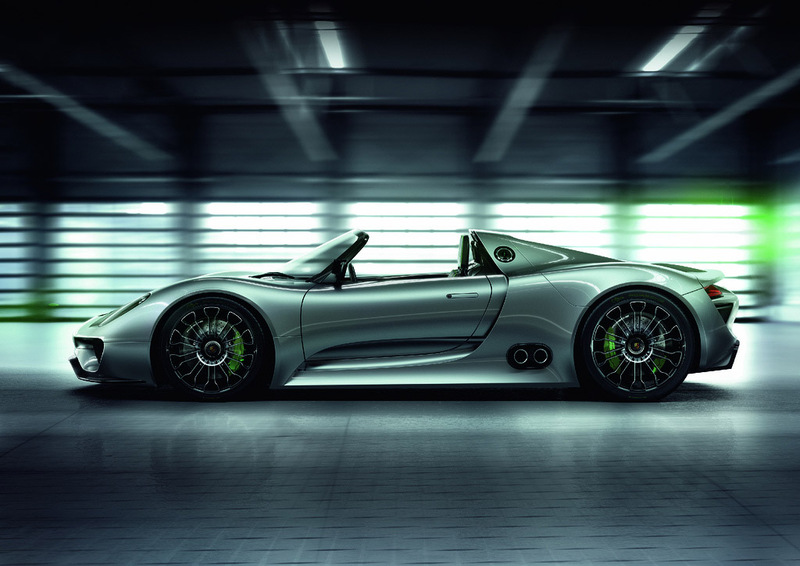 With the Porsche 918 spyder, the manufacturer of sporty premium vehicles is presenting a high-end synthesis of 2010\’s successful concepts. 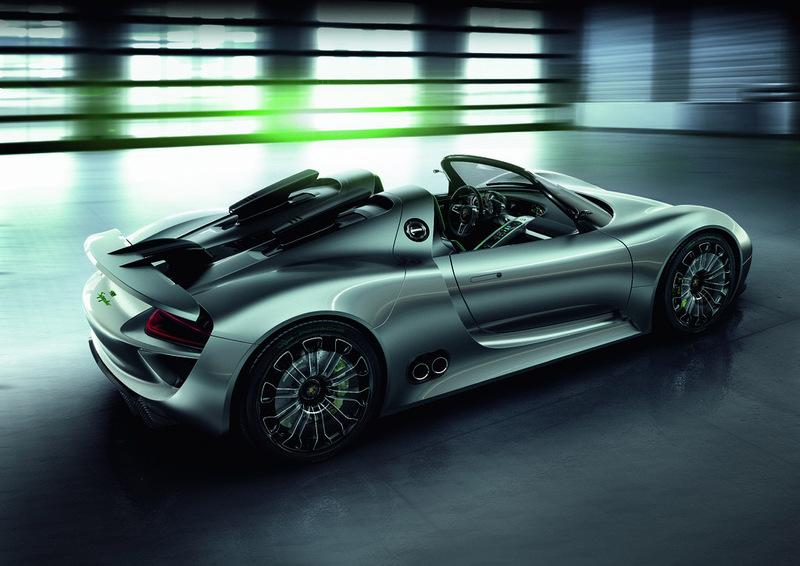 The two-seater mid-engine coupé 918 is transferred to a modern, innovative super sports car. 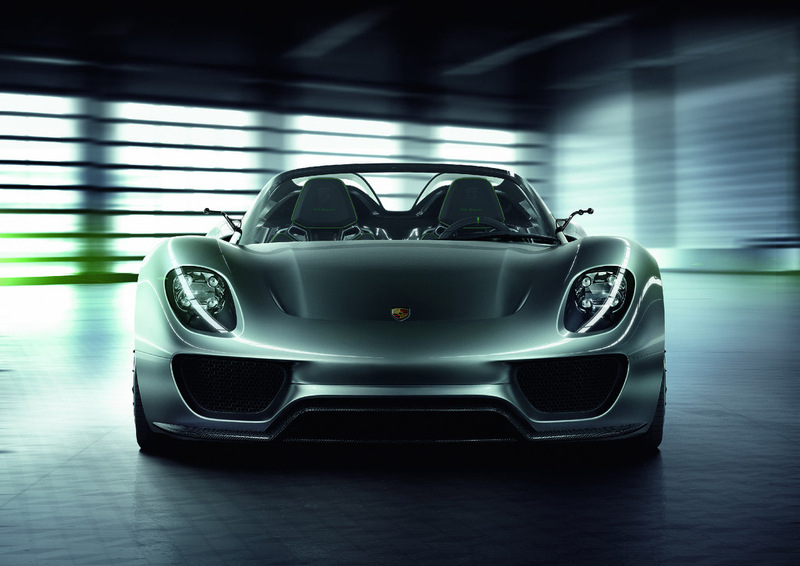 The 3.4 litre V8 engine (500 hp/370 kW) is a development of the engine used in the RS Spyder Le Mans Prototype racing car. 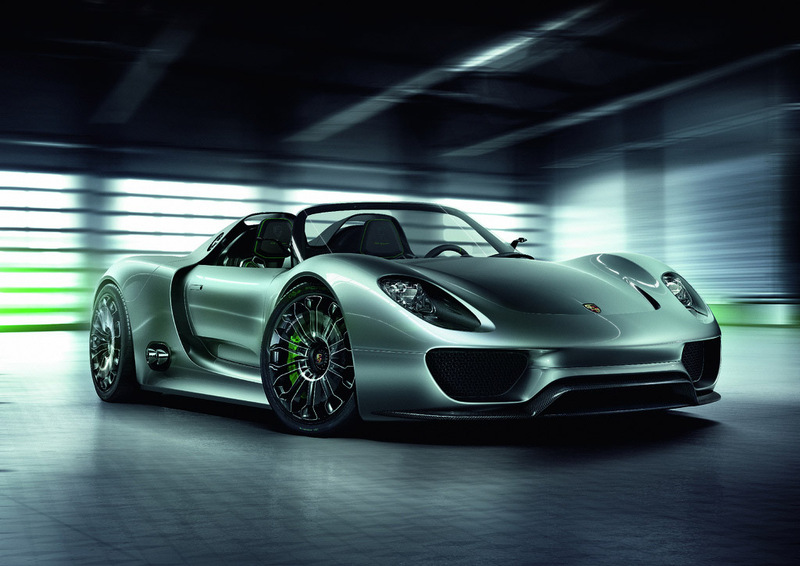 This is supplemented by three electric motors delivering an additional 218 horsepower (163 kW). 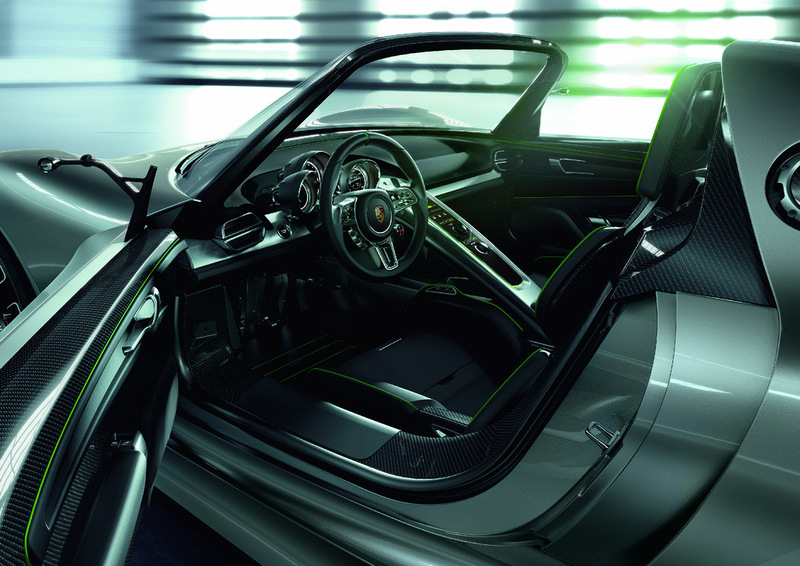 The transmission is a 7-speed gearbox coupled to Porsche\’s own (PDK) double clutch system delivering power to the rear axle. 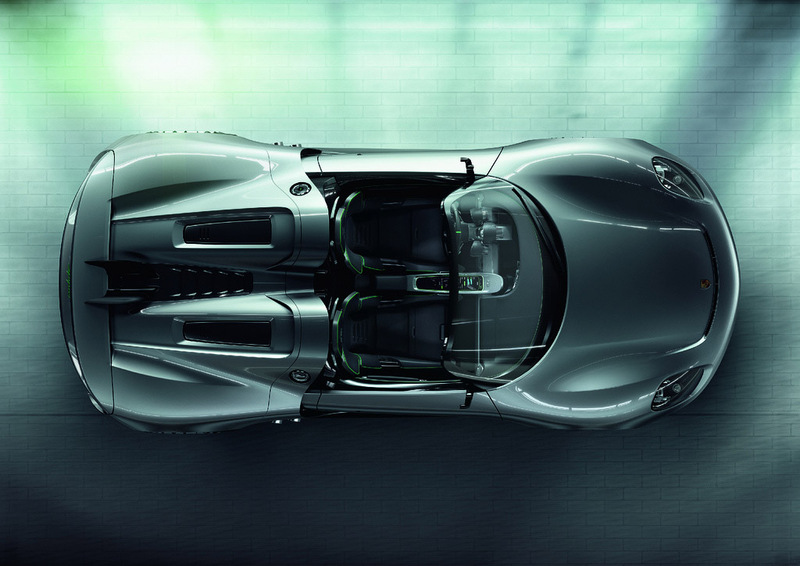 This gives the 918 Spyder a 0–100 km/h time in just under 3.2 seconds and a top speed of over 320 kilometres per hour (200 mph). The energy storage system is a liquid-cooled lithium-ion battery positioned behind the passenger cell. In addition to the plug-in recharge the batteries can also be charged by regenerative braking and by excess output from the engine when the car is coasting. CO2 emissions are 70 g/km and fuel consumption is 3 L/100 km (94 imperial mpg/78 us mpg).